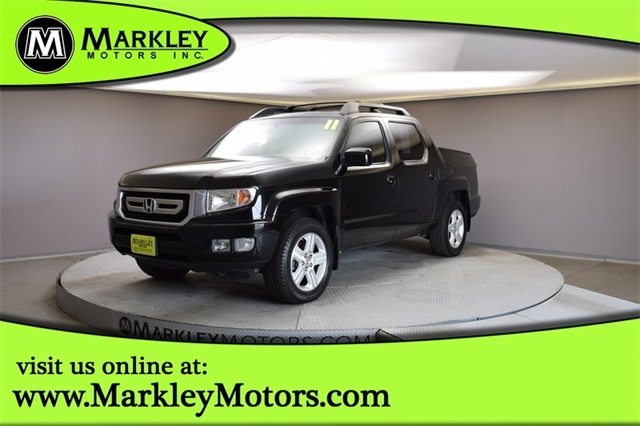 Take a peek at our great looking 2011 Honda Ridgeline RTL Crew Cab 4WD shown in fantastic Crystal Black Pearl. Powered by an impressive 3.5 Liter V6 that offers 250hp while mated with a smooth shifting 5 Speed Automatic transmission. 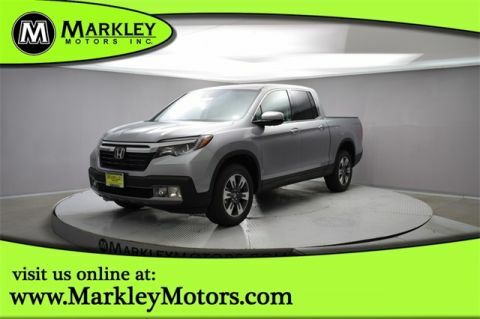 This dependable Four Wheel Drive Honda can achieve near 20mpg on the highway. 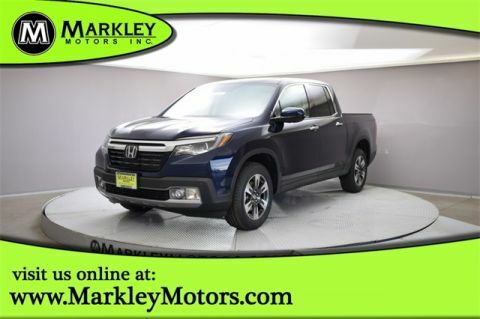 This spacious crew cab gives you the feeling of driving a car with the advantages of a truck. You won't believe the handling and ride dynamics of this vehicle. The 5 ft, the dent-resistant cargo bed with bed liner, has an 8.5 cubic ft lockable trunk located just underneath that can safely store those precious tools and four integrated bed lights with an auto-off timer so that you can retrieve what you need once the sun goes down. A dual-swing mode tailgate opens to the side or folds down supporting up to 300 pounds. Get ready to start hauling! The masculine design is incredibly practical. Inside our Ridgeline RTL, you will be in awe when you discover the roominess and functionality of the cabin. Features include luxurious leather seating, navigation, power sliding rear cabin window, privacy glass, a 60/40-split-folding back seat with storage below, leather-wrapped steering wheel with mounted audio/cruise control, power sunroof, and a seven-speaker CD audio system with MP3/Windows Media Audio. Honda leads the way in safety standards, and this machine is no exception! 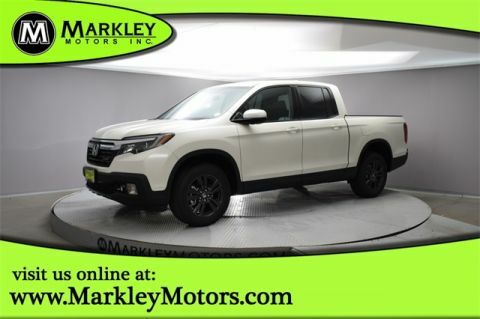 The thoughtful mix of features including Vehicle Stability Assist with Traction Control, backup camera, Electronic Brake Distribution with Brake Assist and a multitude of airbags makes the Ridgeline fully capable of handling your every adventure. Print this page and call us Now... We Know You Will Enjoy Your Test Drive Towards Ownership! We Value You As A Customer And Look Forward To Showing You What The MARKLEY DIFFERENCE Is All About. We've Been In Business For 82 Years For A Reason! Call Us Now At MARKLEY MOTORS At 1-970-226-2213. USED VEHICLES MAY BE SUBJECT TO UNREPAIRED MANUFACTURER RECALLS. PLEASE CONTACT THE MANUFACTURER OR DEALER FOR THAT LINE MAKE FOR RECALL ASSISTANCE/QUESTIONS OR CHECK THE NATIONAL HIGHWAY TRAFFIC SAFETY ADMINISTRATION WEBSITE FOR CURRENT RECALL INFORMAITON BEFORE PURCHASING.